Marlborough – Richard C. “Rich” Berte, 65, of Marlborough, died Dec. 1, 2018, while surrounded by his family, at Milford Regional Medical Center after a courageous battle with cancer. He was husband of Gail A. (Morvan) Berte for the past 25 years. He was born in Marlborough, the son of the late George L. and Esther V. (Merlini) Berte, and was a 1971 graduate of Marlborough High School. Rich later went on to receive a degree in Business Administration from Dean Junior College. He was a licensed commercial real estate broker in the MetroWest area, working for several agencies, most recently with Berkshire Hathaway. He also owned and operated his own snow plowing business in Marlborough for over 30 years. Rich was an avid sports fan and a die-hard Sox and Pats fan. He enjoyed camping and travelling with his wife Gail and their grandsons in their RV. Rich took pride in all he did, more than anything was the complete restoration of his grandfather’s 1952 Chevy Styleline Deluxe Sedan, which to this day remains in the family. In addition to the light of his life, Gail, he leaves two stepsons, Thomas and Ryan Pajala, both of South Grafton; two grandsons, Daniel and Joseph Pajala of Whitinsville; a brother, George A. Berte of Marlborough; a nephew, Evan D. Berte of Maynard, and a niece, Janelle Thresher and her husband Jason of Bolton; five great-nieces and great-nephews, Kailyn, Braeden, Brielle, Ava and Anthony; and an uncle, aunt and many cousins. Calling hours will be held Wednesday, Dec. 5, from 6-8 p.m., in the Fitzgerald & Collins Funeral Home (www.CollinsFuneral.com), 378 Lincoln St., Marlborough. A funeral service will be held Thursday, Dec. 6, at 11 a.m., in the funeral home. Following cremation, private burial will be held in Evergreen Cemetery. 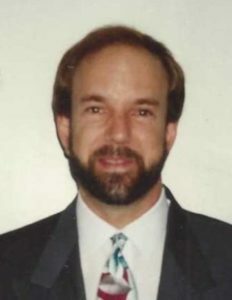 All are invited to sign Rich’s online guestbook at www.CollinsFuneral.com.